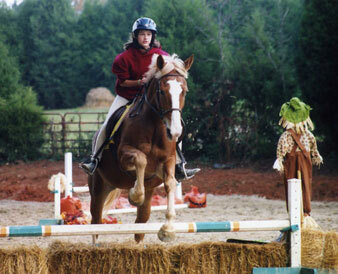 Leg Up Equestrian is first and foremost a riding school. 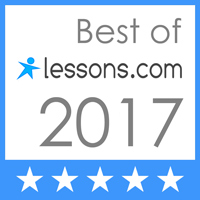 Lessons are taught by experienced, proficient instructors in a logical, progressive series, following a proven curriculum. Instruction is tailored to individual learning styles, drawing upon an eclectic body of knowledge and training methodologies. Our class sizes our small and always skill-level appropriate. Thus, our students are able to progress faster and master the requisite skills necessary to attain the next level in their riding. Kassandra was so excited to be learning something new on the horse!!! She's like a sponge and wants to learn everything she can about horses and riding, and try everything she possibly can. You are absolutely fantastic with the riders!!!! - Shelly W.
While the major emphasis of our lessons are taught under saddle, Horse Mastership training is an integral part of the Leg Up Equestrian education. In fact, by the time our young riders progress through our certification "levels" they will have attained the equivalent of college-level coursework and equine knowledge. Our goal is to develop well-rounded, knowledgeable students who possess strong character in addition to being competent riders. At Leg Up we foster a supportive and encouraging environment where learning is fun as well as challenging. In addition to our regular lesson program, students will have opportunities to participate in one of the many other special interest clinics, camps and horse mastership courses. 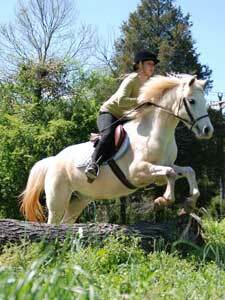 Please see see our Camps & Clinics page for more information about other equestrian program offered. Students will also have an opportunity to showcase their riding skills during one of our two in-house school "fun" shows, as well as opportunities to participate in outside competitions. Please visit our Shows & Events page for more information.
" I've learned more from Leg Up in this one year than I had in YEARS and YEARS of riding. I love your program and I'm glad I get to be a part of it! " - Kimberly B. Students sign up for regular weekly lessons on a quarterly schedule. Classes meet the same time and day each week throughout the quarter ensuring consistency in the student's training. Each quarter is comprised of a series of ten lessons, with the eleventh week set aside for make-ups. Thus, a student who misses a class during the quarter may use the eleventh week as a make up. Should a student need to miss a second class during the same quarter, she may make up that class up by attending another class riding at a similar or lower level. 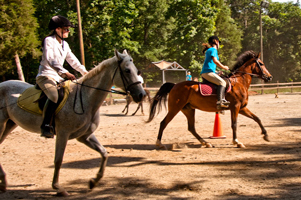 New Students: Horseback Riding Lessons are offered on a quarterly schedule (10 scheduled classes per session). New students may sign-up anytime. Tuition is pro-rated based on the number of classes remaining in the current term. Please see our 2018 class schedule for dates.